Obituary for Ann Derk | Providence Funeral Homes & Crematorium Inc.
We are incredibly sad to announce the death of our mother Ann Derk, who died peacefully in her sleep on October 17th. 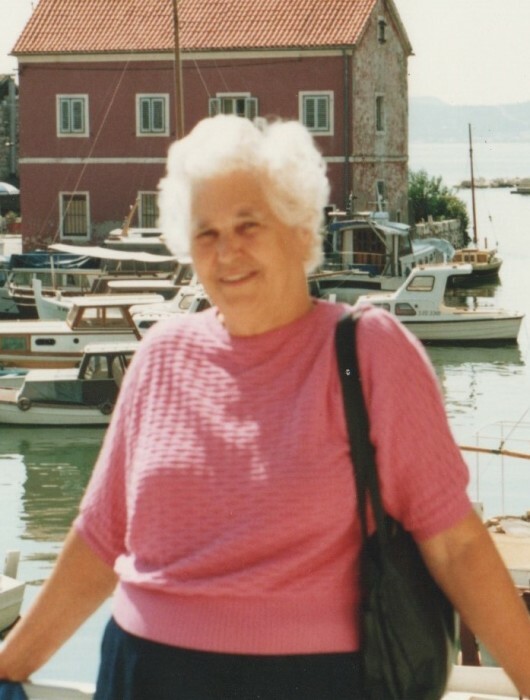 She was predeceased by her husband of 37 years, Joseph Derk, parents Marko and Marija Mihatov and six siblings… Marija, Rita, Vincent, Anton, Ivanka and Natalie. She leaves behind four daughters… Maryanna, Marlowe, Katannya, Dorothy (Rick) and grandchildren Stephen and Jack. Mom was born in Preko, Croatia and as much as she was proud of her Croatian heritage, she too was a proud Canadian citizen. Her final home will be in the arms of God. For Vancouver friends, a prayer service will be held at Saint Augustine’s Catholic Church, 2028 West 7th Ave, on Monday, October 22 at 7:30 pm, presided over by Father Robert Smith. The funeral will be on Wednesday October 24th at 10.30am. St Ann’s Catholic Church 1296 Main St, Penticton, BC, where she was a parishioner for 37 years. Father Rex Velmonte will preside. Christian burial to follow at Lakeview Cemetary in Penticton where her late husband is buried. She will be remembered for being a devoted mother, a devout Catholic, a great cook and hostess and for her gift of producing an explosion of vegetables every year in her amazing garden. Some potatoes were as big as your head. Memorial tributes may be made in her honour to the Canadian National Institute for the Blind (CNIB) or to Catholic Charities for the poor (St. Vincent de Paul or Development & Peace).